The Bedford area sees, on average, over 60 inches, or 152 centimetres of snow per year. That is the height of an average woman. Can you imagine trying to crawl through snow as tall as your wife, or sister or mom? That would be incredibly difficult to do, so why bother? Don’t stubble through snow or trip over ice when our Bedford snow removal and salting can have your walkways clear in no time. For half of the year, Bedford residents have to put extra care into navigating their neighbourhoods and communities. This does not just mean layering up in order to keep warm but manoeuvring around snow drifts and ice patches. Having these built up on your property is a pain for you both literally and figuratively. While you are dealing with the annoyance of navigating through snow, passersby as well as visitors are at the mercy of your buried or slippery walkways. Keeping on top of snowfall is one way to manage the winter season but it can be tough to fit in with a busy schedule. That is why our Gorillas offer everything from reactionary removal to routine maintenance. Our Bedford snow removal and salting can be made to fit both commercial and residential spaces. You never have to worry about your property being too large or too small for our Gorillas. 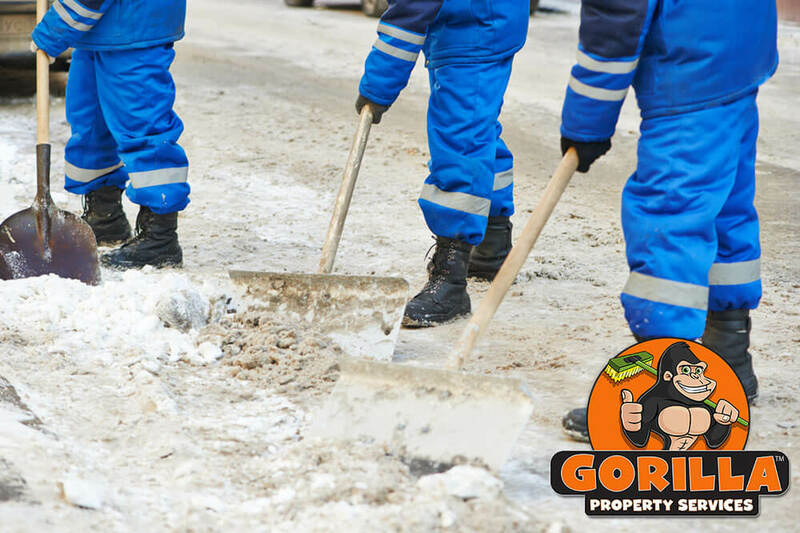 With shovels, snowblowers and ploughs all in our arsenal, our Gorillas can work around your singe or multi-unit properties, as well as larger, commercial spaces. Every property has its own problem areas which are subject to ice buildup. This can occur in uneven pavement or walkways when snow melts and refreezes over night. 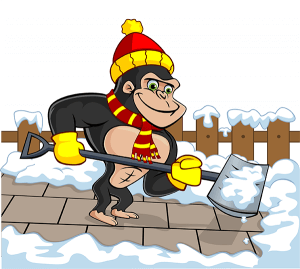 When areas are predisposed to ice deposits, throwing down some sand or salt won’t be enough to ease the slipperiness.